Manual measurement probes have been designed for daily use and will help you quickly achieve reliable results when manually measuring without guidance aids or stands. Manual measurement probes (standard test forces: 10N, 30N, 50N, 100N – other test forces on request) are the perfect solution for rapid measurements at a variety of measurement points. The material’s hardness is tested using the UCI method. 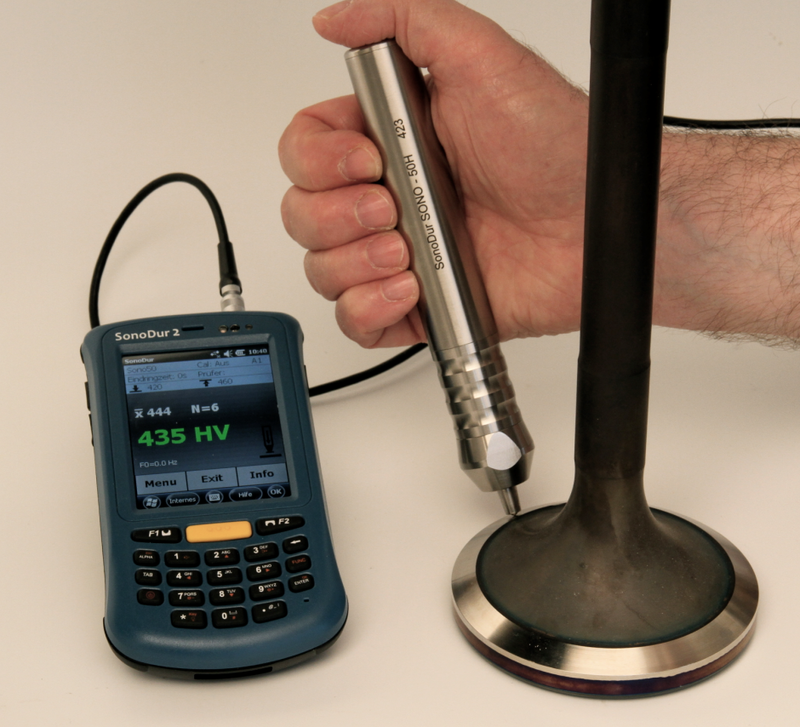 Our manual measurement probes can be used with the mobile hardness testing device SonoDur2 as well as the SonoDur-R ‘Rack’. They can be adapted to most devices using a standard USB interface. The extended version of the probe is available with test forces of 10N and 50N. Its applications include difficult measurement positions and material geometries such as at the base of gear teeth and similar. Robust mechanical construction, stainless steel housing suited to daily use. Long-term stability thanks to its special design. Stable, reproducible measurement values, even without guidance aids. There is only minor scattering of measurement values which remains constant even in the case of high hardness levels. State of the art signal processing within the probe which links via a standard USB interface to the display unit – making it universally compatible with most devices. Highly flexible probe to display unit cable, custom lengths possible. Low service costs thanks to a modular construction and replaceable Vickers diamonds in the event of repairs. 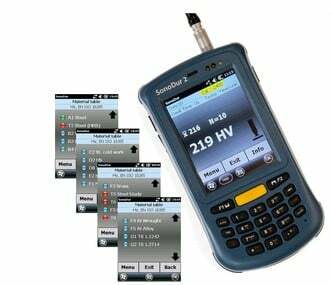 Contact us to find out more about the SonoDur Probes or any of our other hardness testing equipment, or request a quote online.